Since 2011 we’ve seen similar alerts & warnings. As expats we know that there is a wide disconnect between media reports and the actual situation on the ground. We have to review these reports carefully in order to make practical adjustments in our everyday life. I personally find this update significant because we’re just days away from the summer peak holiday season. Still, most reports indicate that Tunisian Security Forces remain consistent in terms of their response and everyday performance. Every embassy has some sort of registration program that allows its citizens to register their stay. For Americans the Smart Traveler Enrollment Program (STEP) is a “free service to allow U.S. citizens and nationals traveling abroad to enroll their trip with the nearest U.S. Embassy or Consulate”. Let’s continue to share information & remain informed. 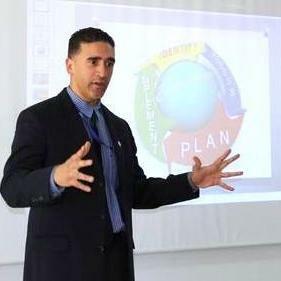 A Security Professional with over 15 years experience helping International organizations, NGOs, Expats and Travelers THRIVE Safely in Tunisia. The ONE thing your business needs to THRIVE in Tunisia!